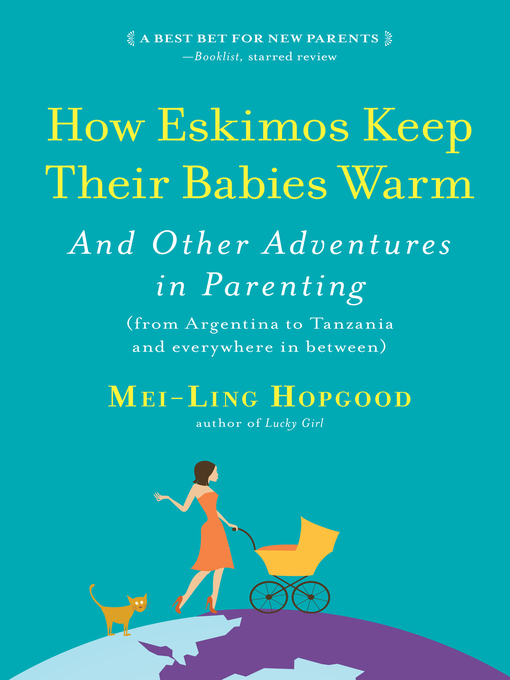 A "breezy and entertaining" tour of parenting practices around the world that shows there's more than one way to diaper a baby (The Boston Globe). Mei-Ling Hopgood, a first-time mom from suburban Michigan—now living in Buenos Aires—was shocked that Argentine parents allowed their children to stay up until all hours of the night. Could there really be social and developmental advantages to this custom? Driven by a journalist's curiosity (and a new mother's desperation for answers), Hopgood embarked on a journey to learn how other cultures approach the challenges all parents face: bedtimes, toilet training, feeding, teaching, and more. Observing parents around the globe and interviewing anthropologists, educators, and child-care experts, she discovered a world of new ideas. The Chinese excel at potty training, teaching their wee ones as young as six months old. Kenyans wear their babies in colorful cloth slings—not only is it part of their cultural heritage, but strollers seem outright silly on Nairobi's chaotic sidewalks. And the French are experts at turning their babies into healthy, adventurous eaters. Hopgood tested her discoveries on her spirited toddler, Sofia, with some enlightening results. This look at the ways other cultures raise children offers parents the option of experimenting with tried and true methods—and reveals that there are a surprising number of ways to be a good parent.